The judgment of you and your business happens rapidly…like within seconds of interacting with your content, web presence, marketing material, ie. anything you put out there about your business. These few precious seconds are vital for establishing trust and credibility with potential clients. And the sad reality is once they’ve had that initial impression of you it is an uphill journey to try and rebuild that relationship. So you have to make those seconds count and having a polished professional brand goes a long way in earning that trust and credibility. So what are some signs that your branding looks unprofessional to your potential clients? Before we get to that I want to take a second to talk about all the places that your brand lives because it may be a surprise to you how you are unknowingly affecting your brand. Your brand is the way you define your business. It is things like the messaging you have in your social media, email communications with your list, potential clients, past clients, collaborators, biz besties…ie everyone you communicate with. Your brand is also your visuals, everything that someone can look at and associate with your brand. Things like the packaging with your mailings, your logo, the social media graphics you use, the clothes you wear in your photos, the subjects you photograph and the way the pictures are edited all help strengthen or weaken your credibility and trust with potential clients. I have a story to tell you about how powerful your packaging is if you ship products to clients. I’ve interacted with and bought several items from this brand that I love, they are cute and they put a lot of thought into the details of their brand. They typically include fun packaging, branded elements like stickers or notes, or even a sweet thank you. Fast forward to my most recent purchase, it was just my purchase shipped in a white bubble wrap without any branding. I felt crushed, my favorite brand didn’t put any additional thought into this shipment. I absolutely love seeing how they love on their clients and this time they just didn’t. And if you do work with local clients, people in your community and word of mouth referrals your interactions with others in public can also strengthen or weaken your brand reputation. Now onto the fun stuff….the 5 signs your brand is coming off as unprofessional. This may sound overly intimidating to even consider but having a clear concise vision can really help you and people you know understand what you do so that you can talk about it. I’m going to tell on myself for a second. When I first started I used to tell people I was a blogger, photographer, graphic designer. Then their eyes would glaze over because while I have lots of skills it wasn’t connecting with them. I wasn’t being very clear and therefore people didn’t know what I really could help with. Then they didn’t talk to me when they needed my services. I had several people tell me after they got a new brand, a new website, family photos, etc… that they didn’t know why they didn’t think about me when they were looking for a professional. Let me tell you…this is so discouraging. It is definitely not what you want to hear from the people you want to work with. But it is a recoverable situation. I promise. Another sign your brand needs a little TLC is that there is too much going on. You’re using too many styles of graphics (watercolors, overlays, 3D text) and every image is different. You’re using too many different fonts either in general or on one piece. The same with colors. If you are constantly changing your fonts, colors, and style you’re starting from 0 every time you put something out there when trying to build recognition with your audience. You want to pick consistent colors, fonts, and styles so that your audience instantly recognizes your content when you publish a new post. This is partly the result of having too many everything like I talked about above but also you’re inconsistency in sharing your vision. Or showing up inconsistently. Posting once every once in a while is going to make getting traction difficult because you aren’t showing up and building a relationship with the people you want to work with. If you don’t have time to post everywhere or blog consistently cut back on where you are trying to be. Then focus on growing from there. Remember the fable about the tortoise and the hare. Even slow consistent work will help you reach your goals. Chances are your business will or has grown and changes since you started maybe you niched down or changed something significate in your ideal client avatar. Or maybe you’ve shifted your entire business like going from services to product based. If you haven’t made changes in your branding it is very likely that you will find your branding holding you back. You aren’t attracting the right people to your business, or people are having that dazed and confused look on their face when you tell them what you do. It could be anything from as small as tweaking your messaging to an overhaul of your brand. The only thing I do know is that by not doing anything and continuing business as normal you are holding yourself back. And the last thing I want to talk about that can make your brand look unprofessional is the quality of your images. I know that a lot of people don’t have access to professional photography or have the time to set up, take and edit their own pictures so they make do with cell phone photos. Unless you are taking good quality photos with your cell phone your putting out less than professional images for your brand. Meaning you look unprofessional. And in this case, done is not necessarily good enough. Take some time to learn phone photography skills and you’ll see a great improvement on the quality of your photos. Now…I want to know where are you struggling with getting your brand polished and professional? Let me know in the comments! Everyone likes to see what things are going to be like especially when it comes to online businesses. How does the process really work? What do you actually get? How are we going to stay on track with this service? I know it and you know it so I thought I share a behind the scenes peek at my design process. I follow this same rough workflow for branding projects as I do web design projects. There are of course a couple differences but the broad strokes are the same. Once we’ve had our initial discussion about what the project needs and the best fit as far as my packaging goes I’ll send my clients a quote to review ALL the details of their investment. Once that has been approved I send the contract and invoice for the first half of payment. This get’s the client’s start date booked on my calendar for my next available opening, this date we will have the client’s strategy call to discuss specifics and brainstorm for the project. Then comes the fun part! I send some homework to my client that needs to be completed prior to the start date of the project. This is fun homework I promise. This consists of a questionnaire to help get my clients to clarify their ideas, start building visual inspiration, and tease out any ideas that they may not otherwise consider. Also, right at the beginning of the process I also set my clients up with a client portal for the important business documents and a Trello board with deadlines and to-do tasks for the project. Let’s talk about the kind of information I need from my clients to get started. I typically send a questionnaire like I mentioned earlier to help clarify ideas and get some structure to the project started. This could include things like who is the audience for this project? What are your values & mission? Who are your competitors? What is your unique selling proposition or position in the marketplace? I also intake certain contact information and help set a preference for communication during our project. Now is also the time that I will give my clients a list of resources and materials that I need to get started. This allows me to get started on the start day because I can’t start without content from you. During this time where my clients are waiting to get started, I also send some information on how they can get started gathering up visuals and helping tell me their likes and dislikes. This is such a valuable part of the process because not only does it help me understand my clients wants and needs in a different way once they start adding to it I can decipher what their style/mood/personality from the project is and add some additional visual ideas to the mix for consideration. My goal as a designer is to make sure that the process is collaborative and that we are on the same page the entire time. One thing I hate about the industry is that I often see people hand over their money to start a project then never hear from the provider until the end. At which point the product isn’t what was needed or there was a fundamental mismatch between ideas. I make it my mission to communicate throughout the project as well as look at the relationship as a collaboration. This collaboration helps bring you the best end result as possible not only hitting your goals but having a strategic perspective from what the user is going to experience. Now that I’ve gotten all this information from my client I take some time to review everything and develop a mood board for the project. This will include things like textures or feature ideas, photography or elements that elicit the mood and look for the project. This is a really fun part of the process because we can start to see how everything ties together. This part of the process I start developing the ideas for how the final project is going to look and I do it in pencil. The act of drawing up ideas and different elements from the inspiration helps me see even more possibilities and opportunities to help bring the vision to life. At this point, I’ll pick the best 3 – 4 options and present them to my client as pencil sketches. Why leave them as sketches? Well because I’ve noticed that clients can sometimes get hung up on the nitty-gritty details if the presentation looks to final than focusing on the overall idea at this phase. The nitty gritty details will come later but keeping it as a pencil sketch allows for more communication and less feeling like the idea is set in stone. Once the overall direction has been decided from the pencil sketches I take the chosen design and digitize it. Digitize is just a fancy word for taking the graphic from a sketch to a computer file. Now the graphic will be much more refined and more concrete. There may even be a few more iterations at this phase depending on what the graphic looks like and any other layouts/options that you may have. I don’t like the way the text curves here..etc. Oh, and I haven’t even touched on the fact that at this stage the logo is still black and white! This is so important because like in the pencil sketching phase there are certain elements that I need clients to focus on and right now color is not one of them. Right now I want to find the right layout, balance, and elements of the piece not if this green is too kelly green and not enough yellow-green. That comes later I promise! Now that we have a solid direction on one or two logos I go in and add color in various ways to bring your brand colors into the logo. This may seem like it creates even more options for you but it is nice to see a little variation in how color can be applied to the piece. I want to make sure during this phase that the color your name is in, for example, doesn’t blend into the background or make someone’s eyes hurt because it is too bright. This phase means we are in the final stretch! Now comes a slew of other collateral that I create based on the choices the client made for the main logo. Depending on what the particular client needs I’ll work on a secondary logo, patterns, brand elements and other collateral to make sure everything ties in and is cohesive. BUT Michaela I help more than just one type of person with my services. And girl! I feel ya. I help more than one specific person with my business. I help DIYers with guidance and helping navigate the online space. I help people who are ready for a professional looking brand tie up all those loose pieces and bring everything together cohesively. I help businesses build a website that is functional and pretty based on their unique business goals ( no cookie cutters here) And I help write blog posts & plan content for businesses who just don’t have time for a content marketing strategy. That’s a lot of different directions. Boy, would I love to say I just help with building websites? In some ways that would make everything easier. But it wouldn’t really explain how my business is uniquely suited to help. So I had to start exploring alternatives to the ONE AVATAR brand plan. Don’t get me wrong. This is not a license to say I help everyone with everything all of the time. This is your chance to explore how you help different sets of people and how those all tie together. So what can you do to come up with your “ideal client” for your multi-passionate business? If you just can’t bring yourself to narrow it down to just one person that you are talking too…. then fill out multiple avatars. I personally can think of a lot of businesses online & local that really would struggle with trying to narrow it down. For example, I’m currently working with an instructor to help develop the business’ website. Well, their clients are the parents but they are working with the children. While this isn’t as stark as two different types of clients they are still facing the same challenges. They have to write content that connects and appeals with BOTH groups of people for it to be successful over the long term. This is the same case when you work with clients who need you at two distinct points or when you work with different sets of people. Create enough avatars to fully explore the groups of people. This will then allow you to pinpoint the topics that are important to each group but also that golden nugget, so to speak, topics that are important to the different groups. When you are working with a single avatar or multiple avatars it is important to dive DEEP into the details. And I mean really deep. Most free resources that help you determine and define your ideal clients stick to surface level details. Details like what magazines do they read. This will let you really peek into the minds of your ideal clients and help you tailor your messaging and appeal to your ideal clients. When you have clearly identified who in your audience needs to hear what you can segment your list and your content to match. This way you aren’t bombarding your audience with information that they are not interested in. And on the flip side, you can be sure to send the information that is going to hit home and connect what you do with their problems. When you can segment your audience and clearly speak to one individual at a time you can create a brand based on multiple passions while still being clear and organized with your content. Now that you have your avatars and your clear messaging you can create a plan. A plan for how you will distribute this content to effectively connect with each audience you are trying to market to. You know you want to tailor your message to each audience but you’ll also want to tailor how and where you are engaging with them at. Maybe one segment of your audience is active in Facebook groups while the other segment of your audience is more of a local set that you can create Facebook page content that is targeted at your local audience. And the last thing to keep in mind while you are working on building your multi-passionate business is that you’ve inherently complicated things by having multiple avatars. There isn’t any way to get around that. So you need to make sure you are keeping everything else as simple as possible. This way you can stay consistent. Keep your posting schedule simple and organized. Put systems in place to help you automate where possible. Let me know what your #1 question about branding a multi-passionate online business? This topic was one I discussed in my free Facebook Community the Passion Driven Solopreneurs. Come join the discussion! Kayla Brissi came to me to have her branding refreshed. She is a Life Navigator, Business Coach and Marketing Strategist for online entrepreneurs and small businesses. She had been in business for about 2 years and had been slowly working on developing her brand that whole time. She brought me in to help her develop her final branding elements and tie everything together. Before reaching out to me to develop the final pieces of her branding Kayla had been building it all herself. Over the course of two years, she found the colors she loved, the style she wanted to evoke and had done some deep work on who her ideal client was. But she was stuck and feeling like an imposter because her branding did not evoke the polished professional look that comes with a graphic designer walking you through the process. She had made several fundamental changes to her business, like adding in life coaching and marketing services, but had yet to take that into account with her branding. She reached out to me because she was frustrated with the level at which she was operating and was ready to take everything to the next level and attract higher paying clients. 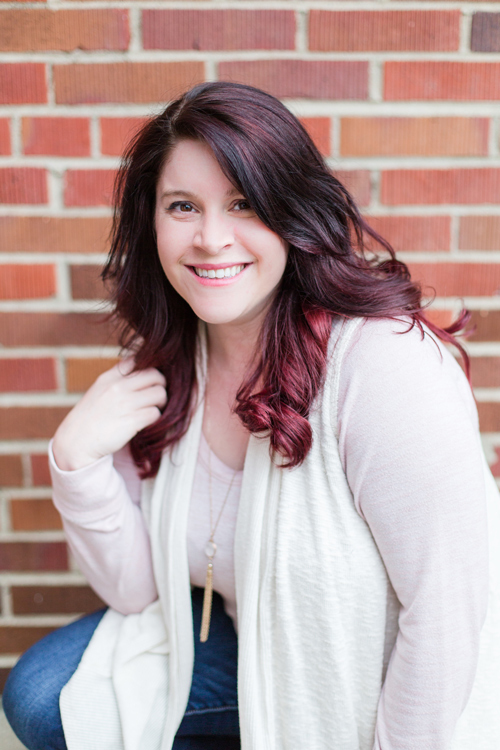 We talked about her goals, where she envisioned her business going, and how all these different pieces tied together in her services for her clients. Her branding was off to a great start but she was in need of a brand refresh rather than a full rebranding. 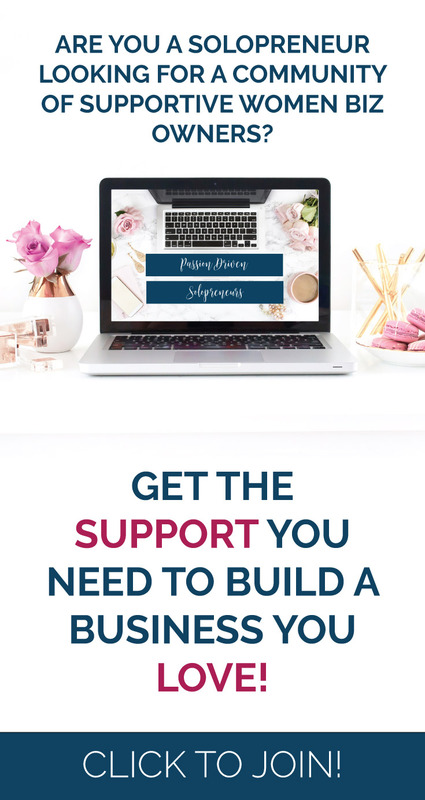 She really needed someone on the outside taking all the different pieces, she had developed and turned them into a solid, cohesive, professional brand for her online business. Her online presence wasn’t ready to sell the high priced programs that she was gearing up to sell. We agreed to work on it together. We worked together over the course of a few weeks to design her logo, nail her Ideal Client Avatar or who she wanted to attract, how her messaging conveyed all the different elements of her service into a succinct elevator pitch, and how her branding transferred to her social media presence through branded graphics. Her new logo brings in those elements that are 100% Kayla’s personality while remaining classy and professional. Her new logo & accompanying brand graphics do all the heavy lifting of positioning herself in the market, building brand recognition, and attracting those higher paying clients. Kayla is excited to show off her polished professional brand and fully step into the expert that she is now that she has branding that exemplifies all that she is a professional. She is so excited that her brand refresh is in alignment with higher quality clients that understand the value of her work.